The MATILDA project envision to design and to develop a holistic framework that supports the tight interconnection among the development of 5G-ready applications, the creation of the on-demand required networking and computational infrastructure in the form of an application-aware network slice and the activation of the appropriate networking mechanisms for the support of the industry vertical applications. The MATILDA layers along with the main artefacts and key technological concepts comprising the MATILDA framework per layer are depicted in the figure below. The Applications layer corresponds to the Business Service and Business Function layer and regards the design and development of the 5G-ready applications per industry vertical along with the specification of the associated networking requirements. The Orchestration Layer regards the support of deployment and optimisation mechanisms of the 5G-ready applications over the available multi-site programmable infrastructure.Orchestration refers to both the application components and the attached virtual network functions and includes a set of intelligent mechanisms for optimal deployment, runtime policies enforcement, data mining and analysis and context awareness support. The Network Functions and Resource Management Layer regards the implementation of the resource management functionalities over the available programmable infrastructure, as well as the lifecycle management of the activated virtual network functions. The Infrastructure Layer consists of the data communication network spanning a set of cloud computing and storage resources. a conceptual architecture for supporting the provision of 5G end-to-end services tackling the overall lifecycle of design, development and orchestration of 5G-ready applications and 5G network services over programmable infrastructure. a set of metamodels representing the vertical industry applications’ components and graphs, the virtual -and physical- network functions and forwarding graphs. an innovative collaborative development environment supporting the design and development of 5G-ready applications and VNF-FGs, including a web-based IDE, verification and graphs composition mechanisms. an orchestrator that undertakes the responsibility of optimal deployment and orchestration of the developed applications over the available programmable infrastructure -taking into account a set of objectives and constraints, as well as the defined policies-, along with the instantiation of the required network functions for the support of the infrastructural-oriented functionalities. Policies enforcement is going to be supported by a context awareness engine, able to infer knowledge based on a set of data monitoring, analytics and profiling production streams. a multi-site virtual infrastructure manager supporting the multi-site management of the allocated resources per network slice, along with a multi-site NFVO supporting the lifecycle management of the network functions embedded in the deployed application’s graph as well as supporting a set of network monitoring and management mechanisms. a novel analytics and unified profiling framework consisting of a set of machine learning mechanism as well as design time profiling and runtime profiling towards the production of advanced analytics and software runtime profiling. a marketplace including an applications’ and virtual network functions’ repository and a set of mechanisms for supporting the diverse 5G stakeholders. to facilitate vertical industries to exploit the full potential arisen through the evolvement of the 5G ecosystem by enabling the development of network-aware applications and their deployment and orchestration over dynamically created network slices, incorporating technological and business requirements coming from the industry, the research community, the service providers and telecom operators, the software development enterprises and application users. to provide an open-source development and application/services composition environment along with a critical mass of VNFs/PNFs and network-aware chainable application components made available through the MATILDA marketplace -promoting open-source software release- to application developers, service providers and operators for developing and verifying appropriate development of network-aware applications and their instantiation over application -aware network slices, as well as denoting policies that have to be applied during network-aware applications provision. to provide a network-aware applications orchestrator able to deploy and manage applications over dynamically created network slices. The orchestrator is going to support a set of intelligent orchestration mechanisms, including deployment and runtime policies enforcement, data monitoring, fusion and analysis and a context awareness engine for inference of knowledge based on the collected information. 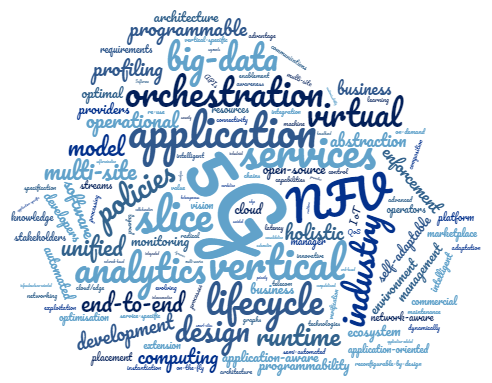 to provide dynamic end efficient management of resources constituting an application-aware network slice including the mechanisms for management of the required VNF-FGs, based on the requests provided by the deployment manager of the Orchestrator. Resources management regards both cloud computing resources as well as network resources and functions made available/applied in the various network segments. to prove the applicability, usability, effectiveness and value of the MATILDA framework for vertical industries, demonstrating and stress-testing the developed MATILDA artefacts under pragmatic conditions against a pre-defined set of use cases (media, emergency communications, smart cities, Industry 4.0, automotive) over the available 5G testbeds. to ensure wide communication and scientific dissemination of the innovative MATILDA results to the 5G industry verticals, business, research and international community, to realize exploitation and business planning of the MATILDA software development paradigm and orchestrator, to identify end-users and potential customers, as well as to contribute specific project results to relevant standardization bodies and the 5G PPP community. This use case will benefit from the end-to-end SDN and NFV capabilities to build heterogeneous 5G emergency communications infrastructure and services. The use case is based on the implementation of a 5G-enabled emergency response pilot provided with the iMON product suite for real time intervention monitoring and critical infrastructure protection, extended with performance monitoring engines and advanced Operation, Administration and Management (OAM) capabilities of the qMON solution for supporting SLA. iMON is a product suite designed for use by first responders and public safety agencies and provides modular emergency communications capabilities, common operational picture (COP) in real time and a suite of IoT-supported intervention management tools with on-site sensing and tracking capabilities. The iMON implementation will be realized on top of a 5G infrastructure with specific MATILDA technology support for added intelligence in service provisioning and policing of distributed applications and network components that have to operate reliably and with high availability and survivability features, under extreme emergency conditions. In addition, the qMON product suite will be used to extend the pilot environment with capabilities for advanced application-level operation, administration and maintenance, with real-time performance and quality measurement capabilities of mobile and fixed networks and applications relying on distributed agent-based probing and active user emulation. A heterogeneous 5G-enabled environment will be targeted and specific extensions will be designed and implemented to support quality monitoring and application OAM capabilities for 5G. In this use case, a Telco Service Provider wants to provide to its mobile and fixed users a high resolution media on-demand service. The media content (video) shall be delivered on-demand to many diverse user terminals such as smartphone, PC, TV, each of them supporting different screen size, resolution, and codecs. A high value service, for the Telco Service Provider, is related to flash events, such as football match actions, that must be delivered to the customers and consumed in a very restricted time-frame. The main challenge is to provide the wanted content in the shortest possible time, adapted to the end-user device, while optimizing bandwidth utilization and power consumption. This is important especially for mobile devices such as smartphones or tablets. In order to reach this goal, the media content shall be cached in advance as close as possible to the user and shall be adapted on-demand for the specific user device. The service provider delivers the media distribution service in the “edge”. The high level functional architecture of the service is composed by a media distribution controller and a media streamer. The media distribution controller (MD-controller) receives the customer requests for a specific content and delegates the media streamer (MD-streamer) to deliver it to the user’s device. The media content will be stored in a CDN, deployed in the “edge”. For optimizing the media and storage parameters, each media content is stored in a single copy, with the best quality. Therefore, it will be transcoded on-demand when adaptation to the user device will be requested. The CDN should be able to scale, according to storage and bandwidth requests. The Transcoder provides a basic service and can be instantiated multiple times according to the workload. The Transcoder function can exploit hardware acceleration resources available in the “edge”. The MD-streamer should be able to scale, as well. The MD-controller is a centralized function and can be delivered in a more centralized place. The MATILDA architecture will facilitate deployment and operation of the overall network-aware media application over the 5G access network fulfilling the strict performance and continuity requirements in any condition including that of flash crowd access to the service. The Media use case will be implemented mainly by ITALTEL and validated over Bristol Is Open provided infrastructure. 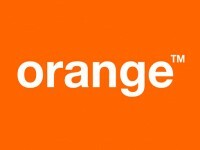 This use case regards a smart city service provided by Orange Romania based on a developed middleware for smart cities services. The considered service in MATILDA regards an intelligent lighting system. The intelligent lighting system is a smart city application that runs over a LoRaWAN network, and enhances the lighting company in the city to easily manage and maintain all the lighting poles in a city, while achieving energy consumption reduction up to 70% when combined with full LED lamps. LoRaWAN is a Low Power Wide Area Network (LPWAN) specification intended for wireless battery-operated Things in a regional, national or global network. LoRaWAN targets key requirements of the Internet of Things such as secure bi-directional communication, mobility and localization services. The application considered in this case is divided in three parts: lighting controllers, middleware platform and management interface. The lighting controllers are hardware parts based on LoRaWAN technology, which are installed on lighting poles assuring the capability of remotely controlling them. The middleware platform collects, stores and secures the data from the controllers in order to be used later through open APIs by any other application. The management interface is divided in two parts: administration of the lamps' schedules and the alert and ticketing system. The administration part gives administrators the potential to remote control and access lamps' data, but also to set a schedule on groups of lamps (turn on after sunset, dim to 70% after 1AM, turn off after sunrise, etc.). The alert and ticketing system provides administrators a way to inform in no time the repair team and also keep track of every service required by all of the poles. Lighting controllers will be converted to be able to access the 5G network, potentially taking advantage of roaming functions, but also increasing the lifetime of the devices’ battery and coverage in restricted areas. The overall application architecture from an upper layer view is depicted in Figure 9Figure 9, and although middleware is shown to access only the lighting controllers, in fact it will be able to access other types of sensor measurements to drive complex decision making regarding lighting. The deployment and orchestration of the overall network-aware application graph consisting of the application components as well as the required VNFs will be realized in MATILDA, making possible to meet performance requirements, security requirements, fail-over for sustaining connectivity, analytics and complex decision making, and application scaling requirements, while enabling and exploiting 5G access. This use case will be implemented mainly by ORO, illustrated and validated over the CNIT testbed, while a demonstration in an operational environment is also envisaged in the city of Alba Iulia in Romania. ExxpertSystems has developed a distributed (remote) interconnection technology called FastWAN that enables machine to machine communication over the Internet with the following characteristics: Real Time, Interoperable, High Quality of Service (QoS), Guaranteed Data Delivery with High Data Volume Capabilities, Plug and Play, Support for both Industrial Signals and Network Data. This technology has been in use by Airbus since 2013 for interconnecting aircraft system test benches located throughout Europe and the world, enabling Airbus to realize early system integration and functional and performance testing. This use case, considering the increasing intelligence of automobiles in today’s world, will address the need to remotely send and receive all data and signals to and from an automobile’s ECUs (Electronic Control Units). Today’s automobiles have over 100 ECUs. These ECUs are essentially stand-alone black boxes that are not integrated into a single cohesive control unit. These systems are distributed electronics (or embedded systems) that control and monitor many different functions within the automobile, such as engine electronics, transmission electronics, chassis electronics, active safety, driver assistance, passenger comfort, entertainment systems, etc. There is no central hub or routing system, just a continuous flow of information that is always available to the ECUs. These distributed systems (i.e. 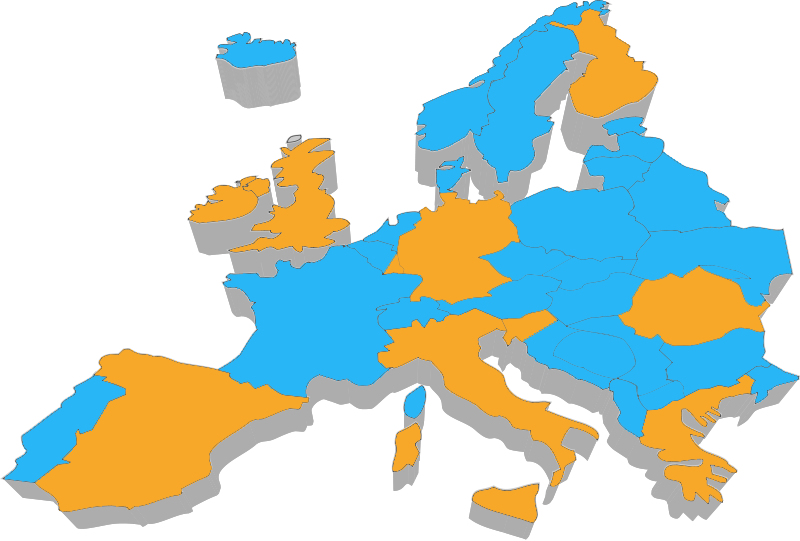 ECUs) are normally developed and manufactured by different companies within the Original Equipment Manufacturer (OEM) and its supply chain, all based at different locations throughout Europe and the world. The integration of the FastWAN technology into test automobiles (for example during the endurance test drive phase) would enable automobile manufacturers and their supply chain to permanently remotely connect to these different ECUs in real time over 5G communication, in order to control and monitor the behaviour of these ECUs. This would ensure that it is no longer necessary to wait until these data have been manually extracted from the test vehicle, and in turn, the procedure or sequence for such test drive campaigns could be dynamically adjusted and adapted based on the real time data received from the individual ECUs. Moreover, remote interconnection could be coupled with powerful software that uses algorithms to analyse the data from all ECUs simultaneously, to enable any necessary real time dynamic adjustments to the running test campaign. This would dramatically decrease the time and costs associated with such campaigns. The MATILDA architecture will ensure real-time secure communication of the several involved ECUs over a multi-site 5G infrastructure and support the orchestration of the overall network-aware application, while enabling complex decision making based on monitoring and analytics. FastWAN technology functions will be integrated to the overall network-aware application graph. This use case will be implemented mainly by Exxperts and validated over Bristol Is Open provided infrastructure. In the Industry 4.0 vision, future collaborative business settings are characterised, among others, through the improvement of the ways in which data in manufacturing processes are processed and integrated into the entire manufacturing supply chain. This use case addresses scenarios in and in-between manufacturing facilities. The first part of this use case addresses inter-enterprise integration. Main challenges are caused from multiple stakeholders (OEMs, suppliers, logistics service providers), all of which running different technologies and management solutions, which have to be smoothly interconnected. Collaborative manufacturing production will be addressed (e.g. tracking, process/product co-designing, task planning), which relies on process data from suppliers of raw material, from production/assembly as well as from logistics service providers. The second part of this use case addresses intra-enterprise integration. An assembly chain scenario will be considered, where interconnection provides for the different machinery collaborative working on manufacturing goods such as cars. The concept of robot farming will be applied, in which collaborative process components (robots, cameras, laser scanners, employees, PLCs, etc.) can collaborate by sharing and analysing time critical data (coordinates, videos, collision detection) to ensure productivity, flexibility and safety. MATILDA will be exploited towards deploying and orchestrating network-aware applications that will reflect both scenarios of this use case. Required performance, security, reliability and real-time communication characteristics will be facilitated by 5G access and MATILDA enabling architecture through the proper integration of VNFs and application components. MATILDA multi-site management will be an enabler for the first scenario while monitoring, analytics and optimization will drive complex decision making in both scenarios. BIBA smart factory infrastructure facilities will be exploited in this use case, while the application will be implemented mainly by BIBA and validated over Bristol Is Open provided infrastructure.